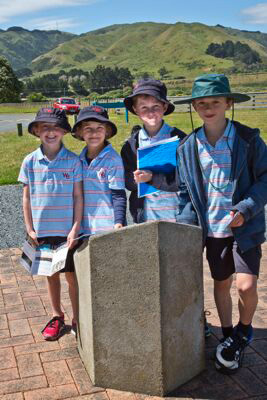 A group of 105 Wadestown students, teachers and parents staged their own “Friendly Invasion” of Camp Russell in Queen Elizabeth Park late last year - as part of an outdoor education class. 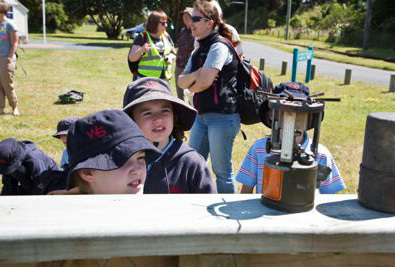 A tram ride down to Whareroa Beach, a look around the Tramway Museum, and a session with the GWRC ranger were all part of the day’s activities. Kapiti U.S.Marines trustee - Major Larry Keim told the children that Marines are soldiers of the sea and work closely with the navy. 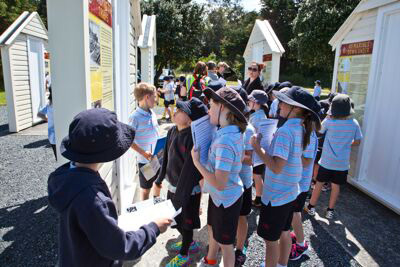 He also explained how six items loaned by the Paekakariki Museum were used by the servicemen. 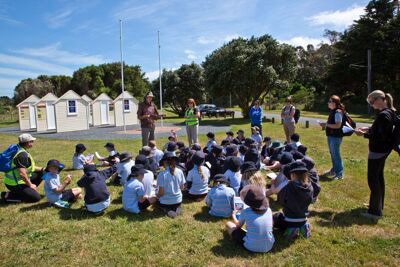 The session was held at the Marines Memorial and former history teachers Anthony Dreaver and Roger Childs were also part of the KUSMT team managing the visit. 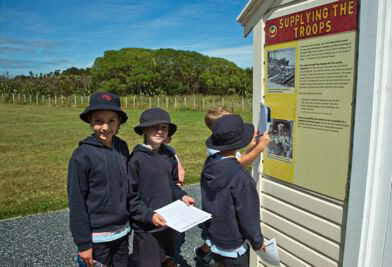 Their session covered: why the Marines came to New Zealand; why the Paekakariki area was an ideal place for the camps which housed up to 15,000 men; how the huge Marine presence impacted on the Paekakariki community of 600, and how the landing craft tragedy in June 1943 took the lives of 10 sailors on Paekakariki Beach. Original generation time 1.5739 seconds. Cache Loaded in: 0.0280 seconds.